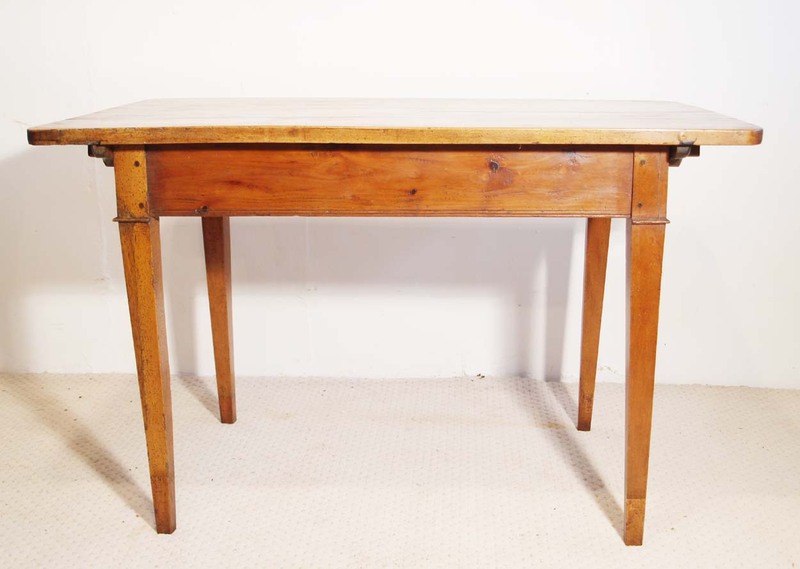 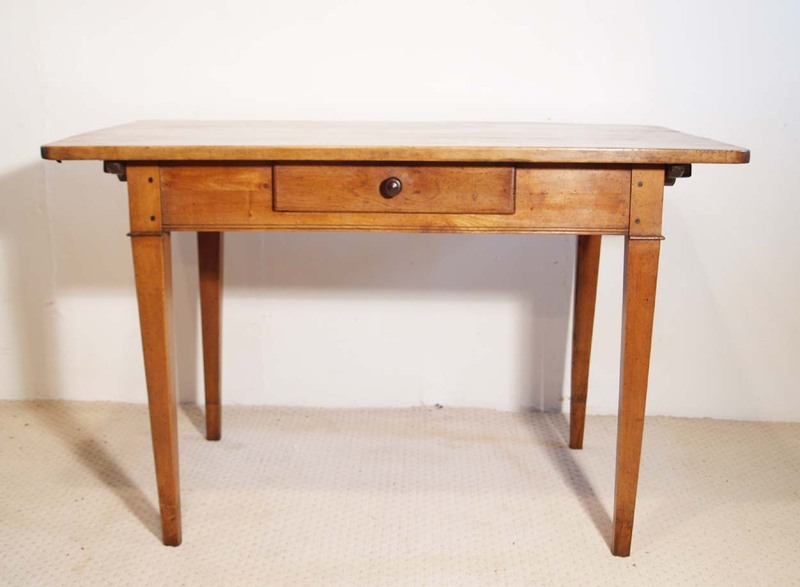 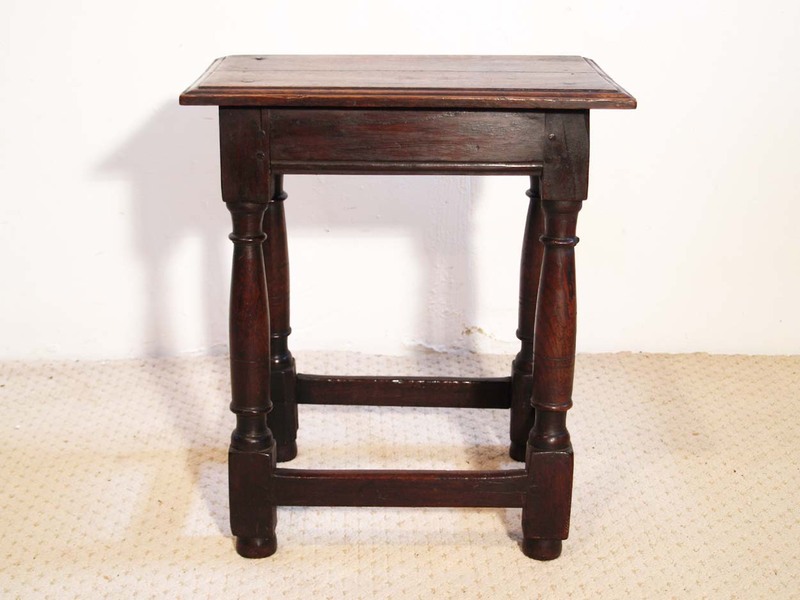 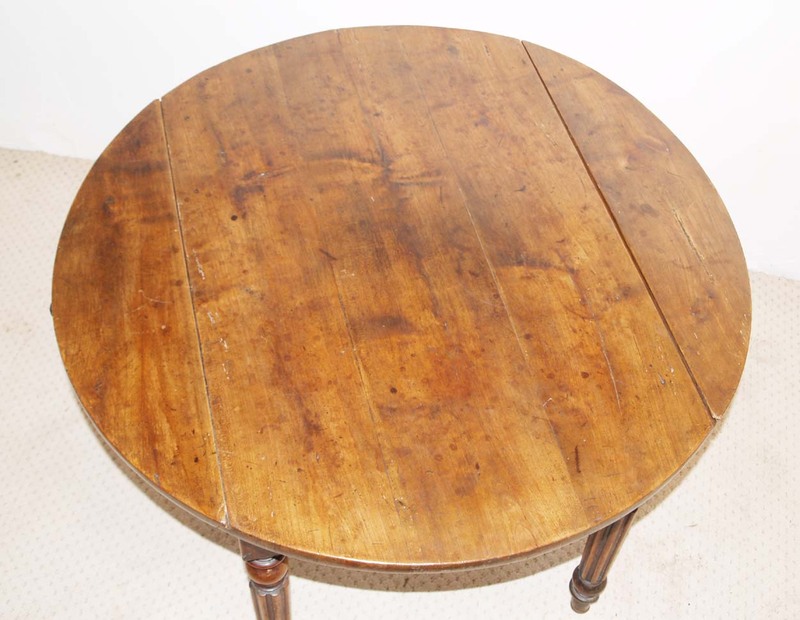 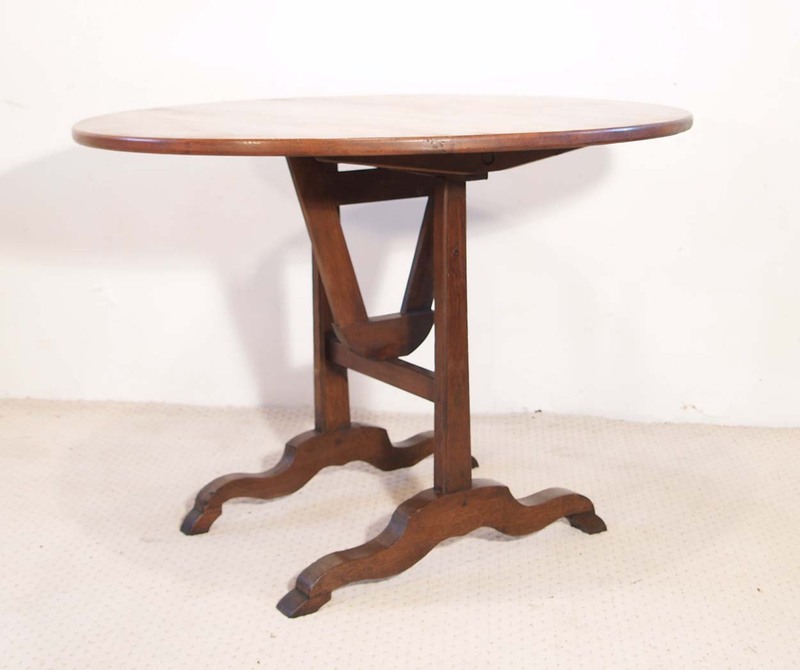 A pretty antique vintage French maple writing table originating from the Alsace region of France. 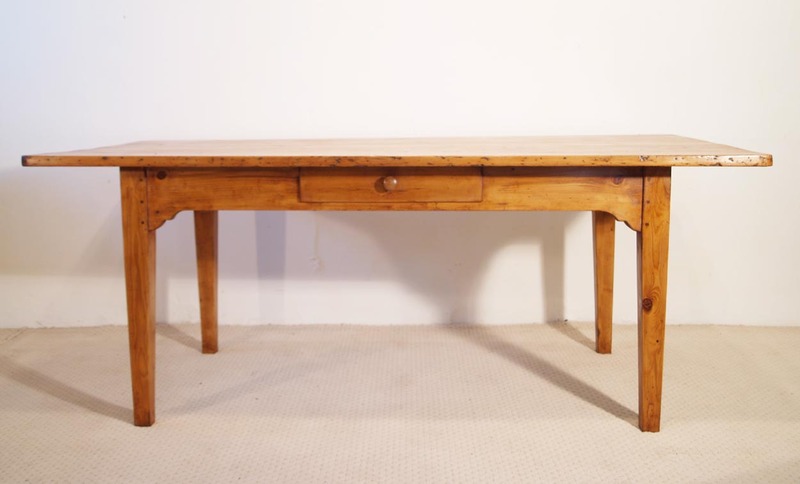 It is unusual to find a French piece built in Maple. 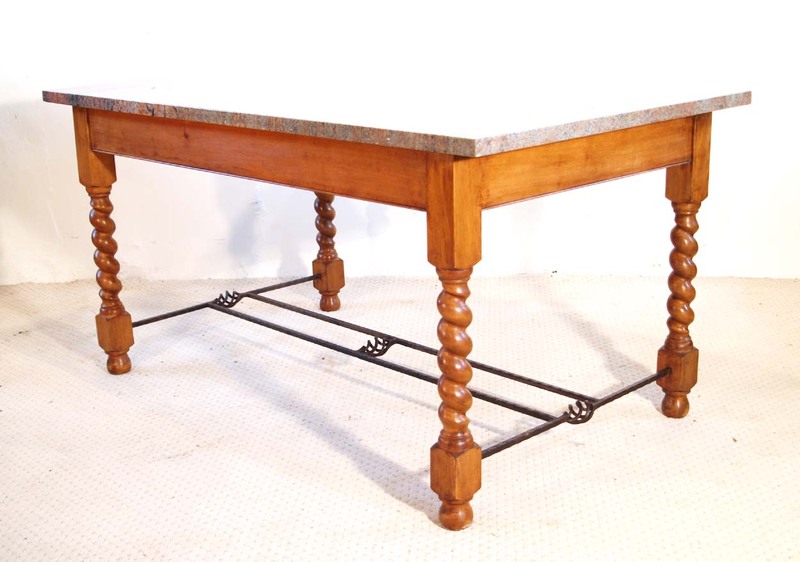 The legs are tapered on all sides with a bead moulding inset just under the frame. 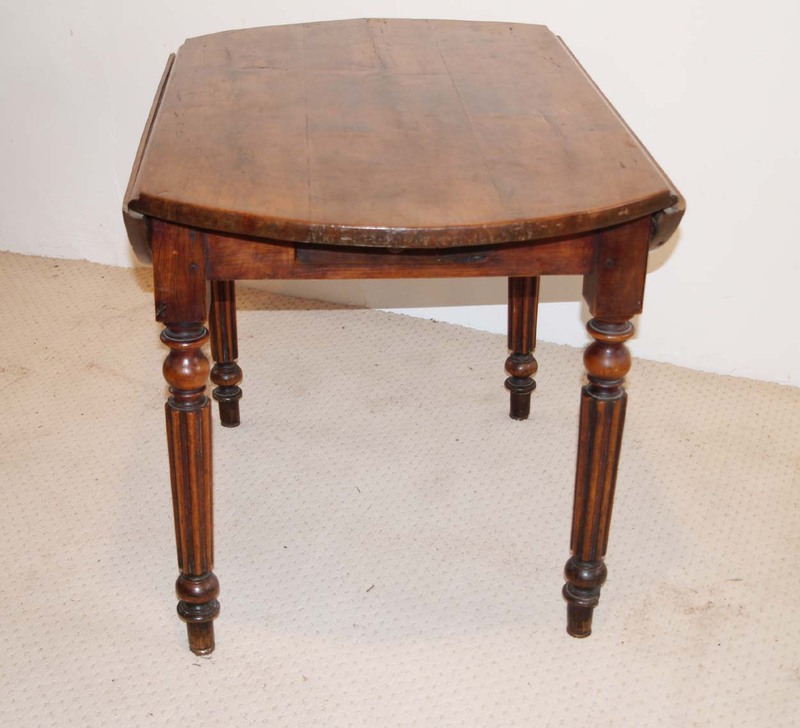 This style of leg is usually from the Alsace region. 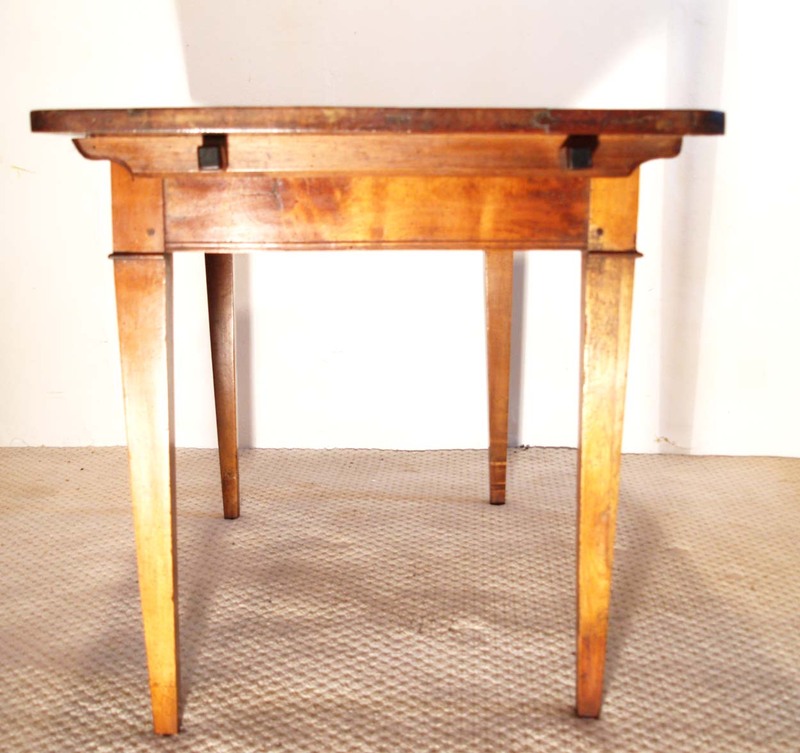 The top is solid maple and is detachable from the frame, which may have been to facilitate moving the piece when travelling. 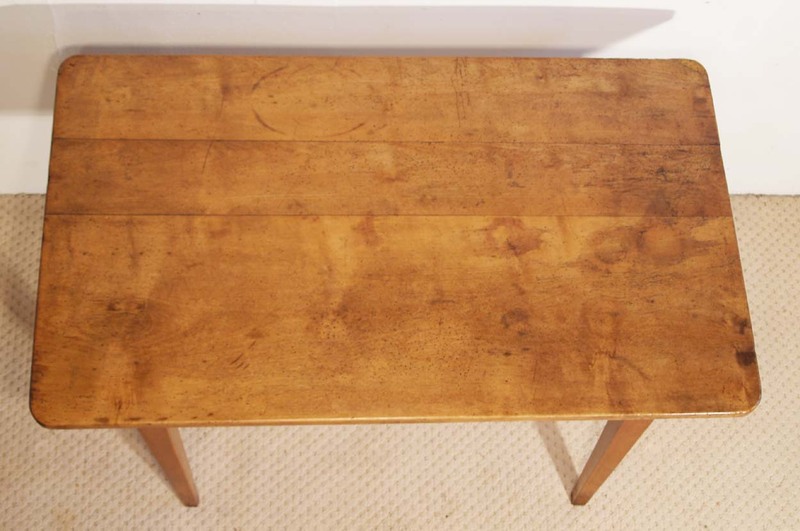 There is a centre drawer, with a walnut front and this is the full depth of the base. 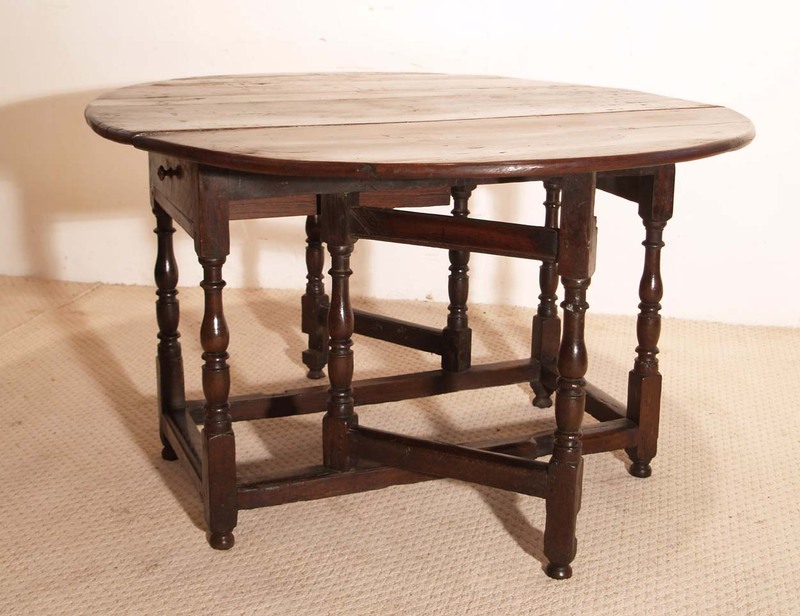 An unusual, yet practical table, that can be used for a great variety of purposes, due to the size.